The brain consists of millions and millions of neurons. These neurons communicated with each other via electrical impulses. Depending on the task one is doing (active thinking, sleeping, dreaming, meditating and so on) not all neurons need to send off these electrical impulses. While there are many neurons sending electrical impulses to one another in a task like reading or calculating, less neurons are active in sleep, for example. This makes sense, since our brain is barely active in the sleeping phases. Some neurons still send off electrical impulses, but these are different in amplitude and frequency to the electrical impulses that involve an active thinking task. When one measures these impulses with a electroencephalogram (EEG) all these impulses result into a wave. 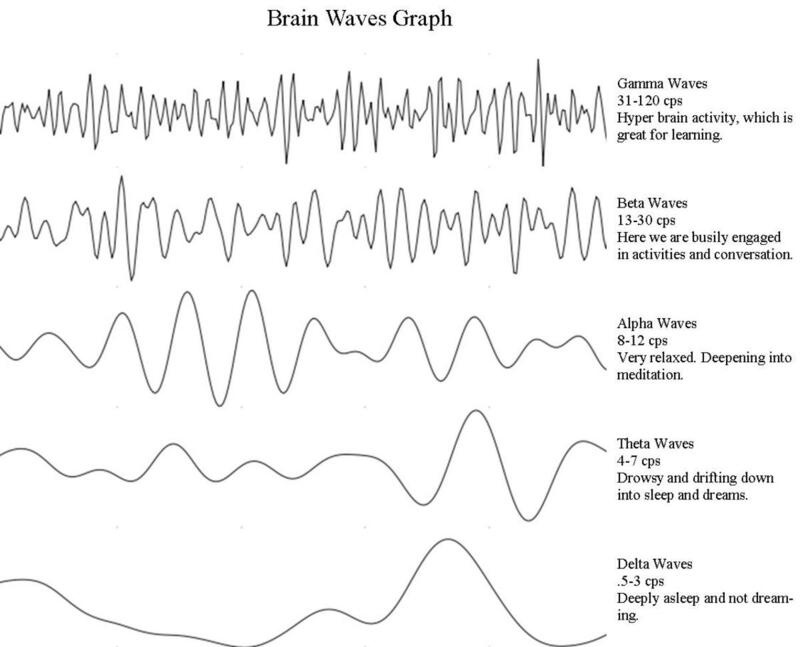 These waves originate in the brain and are called brain waves, logically. Let us say, in non-active thinking tasks like sleeping, these brain waves are rather slow and of a low amplitude. In an active thinking task, these brain waves are quite fast and in a higher amplitude. There are many different brain waves. Gamma waves are one of them and it has to be said that they are even rather special waves! Gamma waves are typically of a high frequency and amplitude. 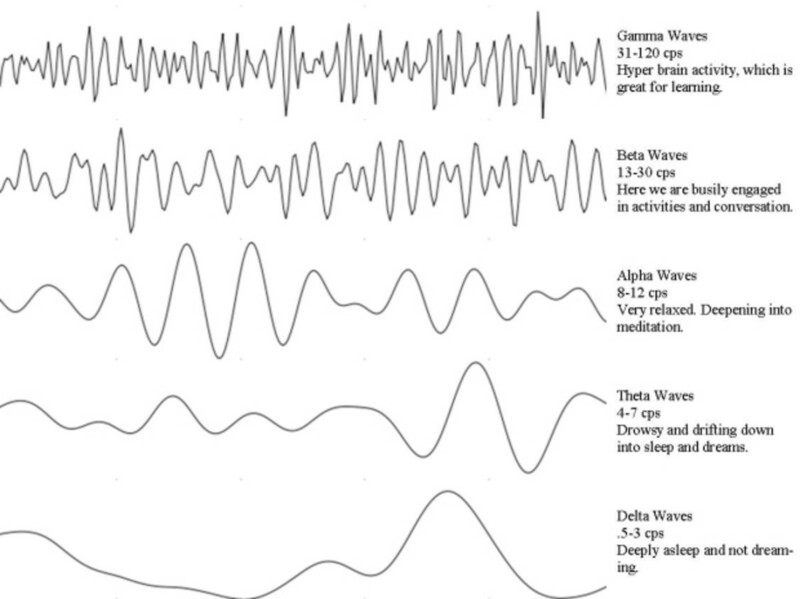 Gamma brain waves are one of the fastest waves that reach all parts of the brain. Their frequency is normally 40 Hz and more. It has already been observed that people can produce gamma waves that have an amplitude of 100 Hz! These are called "Hypergamma brain waves" and are a subtype of gamma brain waves. They occur when millions of neurons are active at the same time and "fire" these electrical impulses simultaneously. Normally, people do not produce these brain waves under normal circumstances. These brain waves were mostly found in geniuses, for example, in a professor of physics. I like to call them "the genius brain waves". They were also observed in meditators who were practicing the loving kindness meditation. As it seems, gamma waves either occur in very intelligent people or in those people who experience unconditional love. 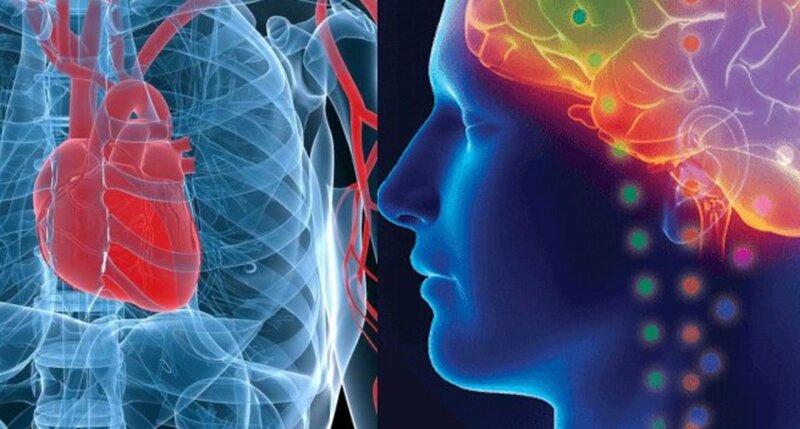 It has been observed that Buddhist monks who started to practice the loving kindness meditation almost immeditately at will produced gamma brain waves. So, in essence, gamma brain waves occur when there is an unusually high brain activity. Increasing gamma waves with either binaural beats or specific meditations can lead to a number of marvellous benefits. Afterwards, I will give you some advice on how to increase gamma waves and what to do in order to experience them more often and spontaneously. Better learning: Since the brain is so super-active, people are able to learn faster (information is processed at a much higher rate!). A high amount of gamma waves works like an anti-depressant. Bliss: People have feelings of extreme bliss. Compassion: People tend to have a profound compassion towards other people. Enhanced Senses: It seems that the senses work better and reality is perceived more vividly. Works like coffee for some people. Rate the article on Gamma brain waves! One way to increase gamma waves is to listen to binaural beats. I recommend you to have a glass of water next to you after you finish your session. Sometimes, it happens that you feel a bit dizzy. Other than in the lower binaural beats I recommend you to do something that involves active thinking like reading or learning. Normally, one would silent his mind and focus on the binaural beats (like in theta brainwave entrainmeint for example. ), but in this case you should be doing something. Another more natural way (in my opinion) is to meditate. Most meditations are good to increase gamma wave activity, but THE best meditation for this is the loving kindness meditation. This meditation will not be described in this article, since it would be far too long. If you are interested in learning more about this special meditation, please read the full how to do the loving kindness meditation article or see the links below. The last way I can give you from personal experience is to "recognize" their occurrence. Sometimes, especially when you start meditating or listening to binaural beats, you will have sudden feelings of bliss (for example) in your everyday life. This can happen in school, while watching TV, in the gym or anywhere else. Recognize these sudden occurrences and "hold on to them" and your brain will automatically learn that you desire these states and that they are good. Consequently, it will happen more often in the future, which will also have positively affect your behaviour towards yourself and other people. How long does it take to experience states of bliss? This was a question from a user. There is no definite answer to it, since these phenomena are quite individual. There are many factors that are important, such as meditation, food, physical activity and so on. Long experienced meditators are very probable to experience these states of bliss during the gamma brainwave entrainment and for the next few hours after they stop listening to gamma binaural beats. People, with no meditation background, do not experience these states of bliss right after the session (but some do!). In my case, as an unexperienced meditator, it took me 2 days until I started to experience these feelings of bliss. They occurred quite randomly. It is important that you listen on a daily basis to gamma binaural beats. Some time ago, I started listening to gamma binaural beats. It happened that I felt a bit dizzy and had the need to drink something. Normally, I felt better afterwards. Also, after a 15 minutes session where I simply focused on the mere binaural beats I felt "overwhelmed". It feels as if my brain is not yet ready to "embrace" the entirely or to tune in into these frequencies. This didn't happen with other binaural beats (delta, theta etc.). When I was reading a book (for example, Faust, Ulysses and other complicated books) I was able to focus on the text very good and my reading speed even increased slightly, while listening to gamma binaural beats. Another phenomenon, I was able to observe on myself, was that I was able to stay awake the whole night without any coffee or black tea or whatsoever! Moreover, I was more awake and more focused on learning material than with coffein in my blood (I still recommend you to go the bed than staying awake all nights, though). Ever since I started recognizing these sudden feelings of bliss it started to occur more often and as I realized I am a more happier person in general! Really good to know, what gamma waves and some further tips can do to change your life to the better! 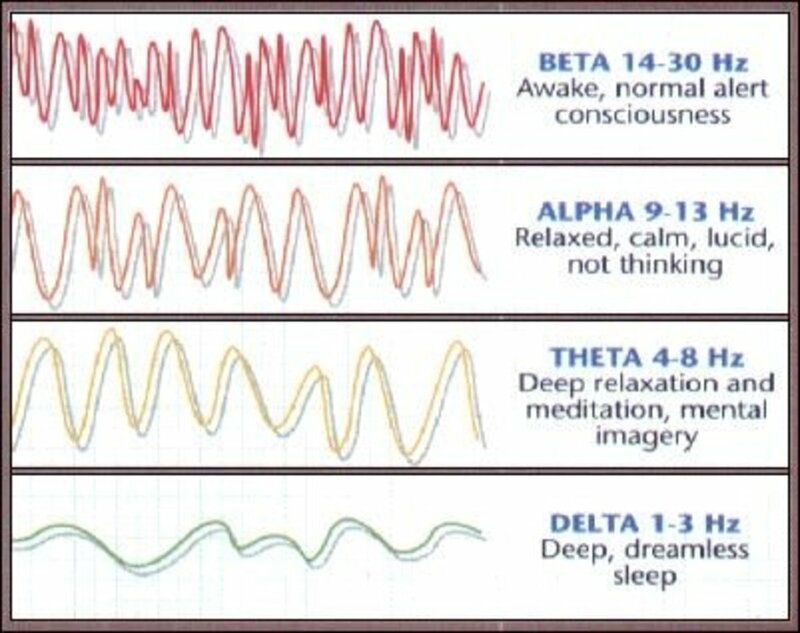 What Are Brain Waves (Theta, Delta, Alpha, Beta Brain Waves)? What Is Brainwave Entrainment? 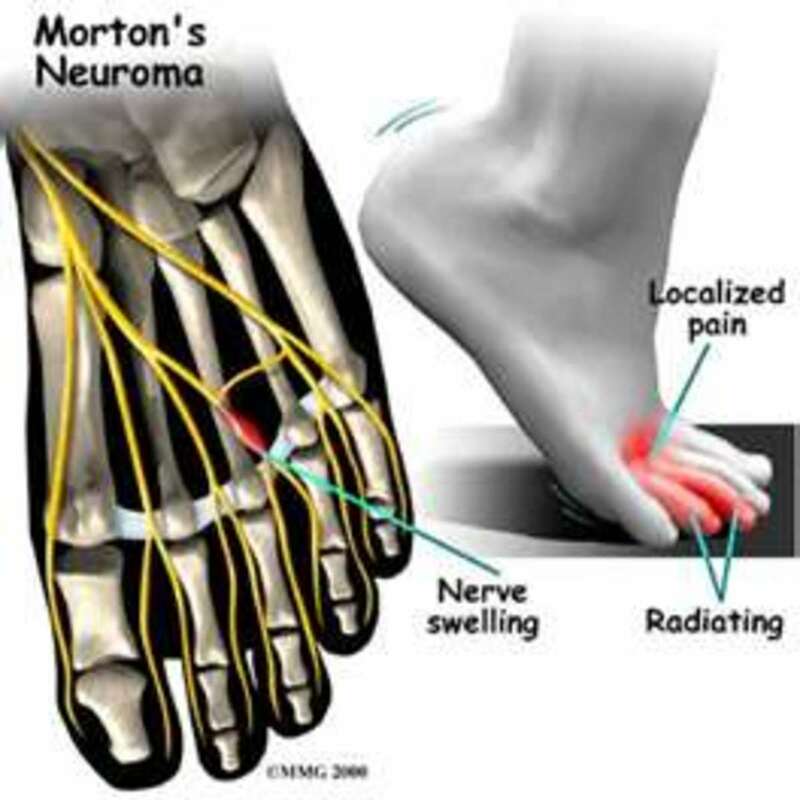 Mortons Neuroma - Revised information and natural pain relief. What Color Is Music? 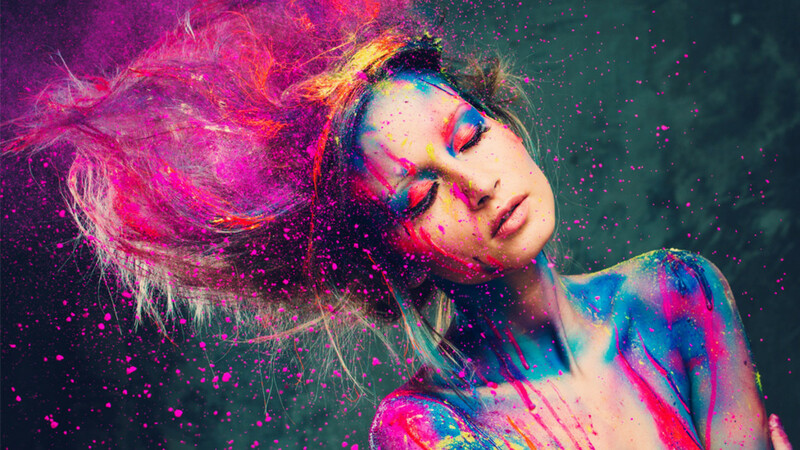 The Fascinating World of Synesthesia. Thank You Kindly.... Your work is helpful and appreciated!! Blessings to you! Pls can I ask where I could buy the crashing waves Gamma soundtrack? It's beautiful! THANKYOU and loved your article. When is the best time to listen to this? Will practicing loving kindness meditation boost my cognitive functioning? In all areas? well, 10 mins are always good. And then simply increase it by 2 mins all the time. 30mins seems to be fine for me each day, but you can also listen to it longer of course. hello! I have learned a lot from your articles! I wonder what time do you recommend to do a session for a beginner, thanks you! thanks for the comment and the article! You might want to read my answers to his question ;). I read these two books myself! Well, alpha waves do not necessarily make you think slower. Actually, it can even enhance thinking speed in combination with other brain waves. For example, if you smok weed, you're probably be a slower thinker than usual, but let's say you paint, then you have alpha theta and beta waves and you might have genius ideas and become very concenctrated and excited. Alpha waves do not necessarily mean slow thinking. Having little brain wave activity would mean slow thinking, you know. Gamma waves also do not necessarily mean fast thinking. It's more that your brain is extremely active. A very compassionate and loving person would show lots of gamma (and delta) waves, but it would not necessarily mean that she or he is a fast thinker. Regarding gamma waves it depends upon the task you are doing. If you were to solve a math problem or reading then you can have gamma waves, because you'd be totally focused on it and your brain will like "glow" because so many neurons are talking at the same time. Of course, also other waves would be involved like theta (for creative thinking) and delta (for intuitive thinking) and also alpha (to make the sub- and unconscious conscious). .There they are referring to acetylcholine which is emitted in alpha waves, in increasing brain speed(processing speed). I am confused as ideally gamma waves should do that, I used to think alpha waves actually makes us slow thinker. I couldn't find answer to my question on net. Thanks a lot for the information...it was great. There r a lot of binaural beats as well as isochronic tones.is there any problem listening to more than 2 beats a day?? Thanks for your comment again ;). I actually published a new one yesterday! By the way, if you want to be notified when a new article comes, you can make an account on HubPages and follow me ;). There will be new articles on brain waves soon too! Well, no, you have to use stereo earphones in order to use binaural beats properly. You can still try it, but it might not work properly. I do recommend you to get stereo headphones. They don't have to be expensive or so. You can get good ones for like 20-30$! I have only mono earphones is that I fine ? I mean like there are two categories right - mono and sterio. So any recommendation? You should always listen with headphones. You don't need to have specifically designed headphones, I bought mine in a normal store for about 50$. Listen to it at a rather high volume such that it is confortable to you, but not too low! Are there any specific type of headphones/earphones required to actually reap the rewards from the listening to the binaural beats ? The occurrence is quite individual. Let's say you have been meditating for years now and recently stumbled upon gamma binaural beats. Then, you're very probable to experience these feelings of bliss during your gamma entrainment and in the next few hours! For non-meditators, this can occur in the next few days (under the condition that you listen to them at a daily basis) randomly. But I can't promise anything ;). In my case, as an unexperienced meditator, it took me 2 days until it started ;). Awesome article! good job. But on the point where you mention about the feeling of bliss by listening to binaural beats or via meditation, just wondering when should we expect to see the feeling of bliss to occur ? Hey Seafarer! Thanks for this nice comment of you!! ;). I really put in lots of effort and personal experience in this article to make it as informative as possible! I myself can confirm that you should always value and hold onto these feelings and states when they occur, so the brain makes more of them happen ;). Have a nice day and many thanks! !